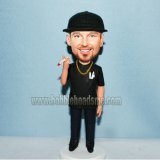 Custom Bobbleheads fishing bobble head. 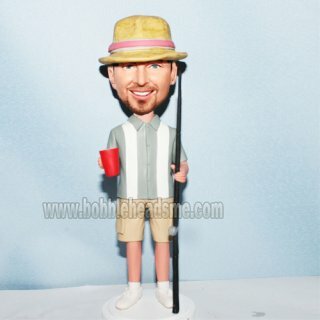 Casual Dress Male With Fishing Rod And A Cup. Summer hat with summer dress, one hand holding a fish rod. and the other hand holind a cup of tea. 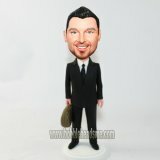 Yes, this customized bobbleheads is a fishing lover. 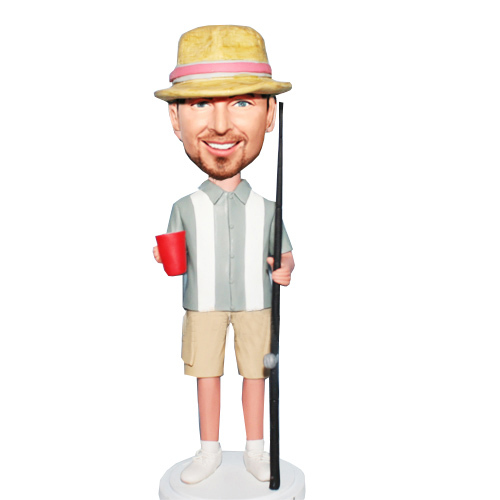 In the special occasion, this custom bobblehead will be a great gift idea to the man who like fishing. The color is the clay itself instead of painting which makes the color never fade. If you are looking for a memento, this doll is sencond to none.